Supported by maps and photographs, this guidebook describes the fighting that took place around Beaumont Hamel, one of many villages along the Western Front of World War I. 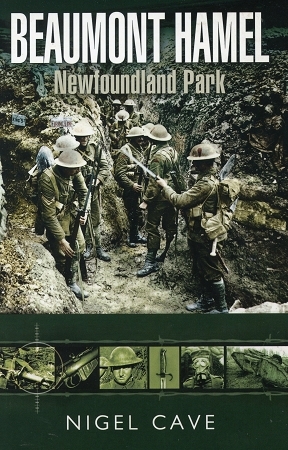 The Dominion of Newfoundland purchased Newfoundland Park after the war, a decision which led to the creation of the finest trench park on the Western Front. The park was named to commemorate the Royal Newfoundland Regiment’s tragic part in the action of July 1, 1916; the eighty-acre site included most of the ground over which the regiment attacked. Today, Newfoundland Park is a memorial to all the Newfoundlanders and Labradorians who fought in WWI, including those who have no known grave. It is one of only two Canadian Historic Sites outside Canada..